Son of Origins of Marvel Comics (1975) | 'TAIN'T THE MEAT… IT'S THE HUMANITY! 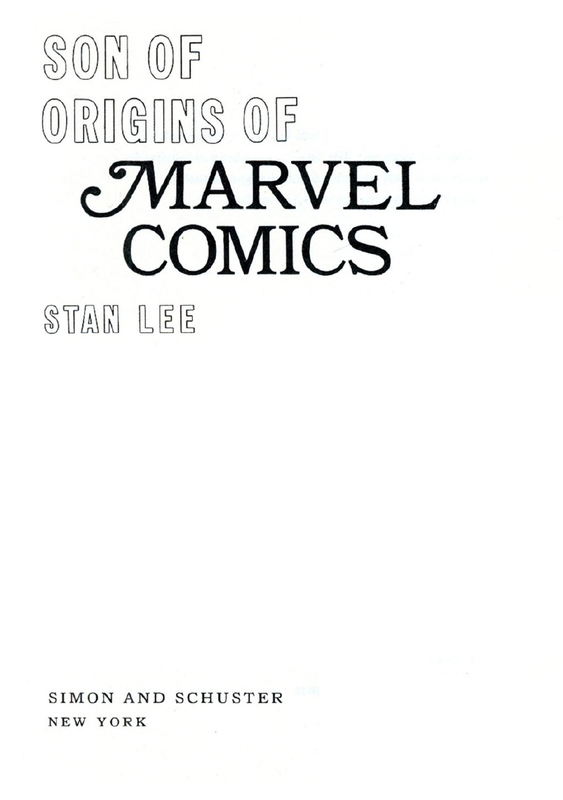 In 1974 Simon & Schuster imprint Fireside Books published Origins of Marvel Comics by Stan Lee, a soft cover book that reprinted the origin stories of five of Marvel Comics’ most popular characters with accompanying text written specifically for the collection by Lee. The book was the first of its kind and is now widely regarded as the first reprint collection, or trade paperback, a format that now dominates the comic book industry. The first book was so successful that just over a year later in October of 1975 a second Marvel/Fireside collaboration was released, the somewhat awkwardly titled Son of Origins of Marvel Comics. Clearly unwilling to change the formula established in the first collection the second book repeats the same format: the book features a painted cover by John Romita (although I’m not sure why the Scarlet Witch is shown as she doesn’t appear in the book); it runs to 260 full colour pages and reprints the origin stories from five individual characters and two teams spread out over seven chapters. 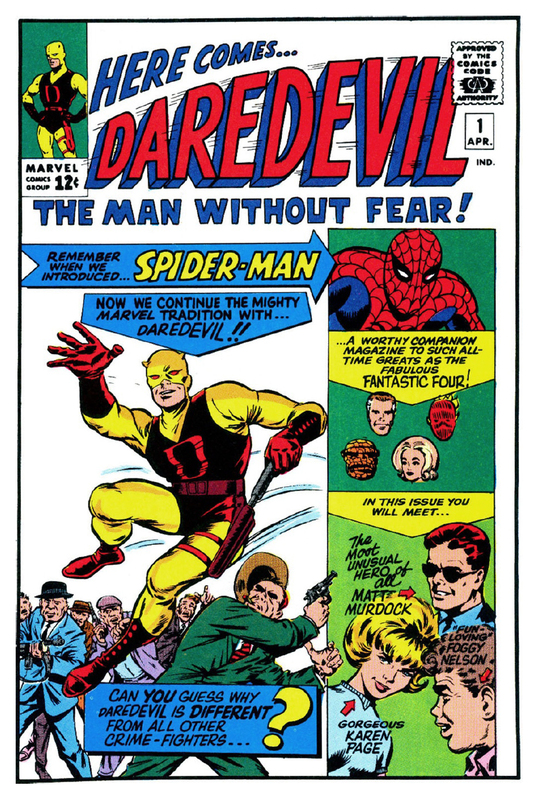 Each chapter features an introduction by Lee followed by the origin story as it would have initially been published, with Iron Man and Daredevil both receiving a second story. Lee closes the volume with a epilogue promising more big things from Marvel. 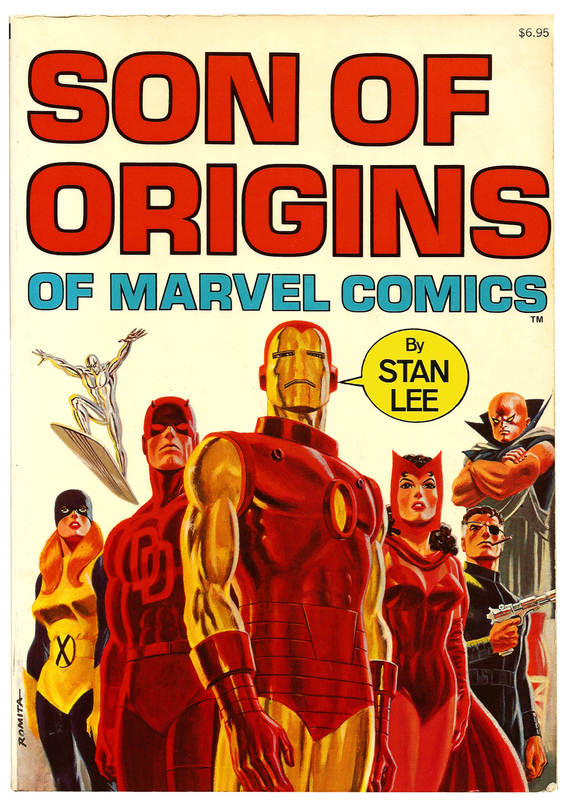 Son of Origins of Marvel Comics collects the following stories: The X-Men chapter reprints X-Men #1 (September 1963); the chapter on Iron Man reprints Tales of Suspense issues #39 (March 1963) and #97 (January 1968); The Avengers chapter features a reprint from that title’s issue #1 (September 1963); the chapter on Daredevil features issues #1 (April 1964) and #47 (December 1968); the chapter on Nick Fury, Agent of SHIELD reprints Strange Tales #135 (August 1965); The Watcher‘s origin is taken from The Silver Surfer issue #1 (August 1968) and finally The Silver Surfer himself rounds off the collection with another reprint from the same issue. Continuing the trend set in the first collection Lee’s introductions are chatty and amiable with his love of alliteration even more on show here than before. He explains the thought process that went behind the creation of each character and although he doesn’t discuss the artists in as much detail as his does in Origins of Marvel Comics all the individual artists do receive a name check. Gene Colan is the only artist who’s involvement is discussed in detail but that’s hardly surprising as he illustrates three of the stories collected in this volume. 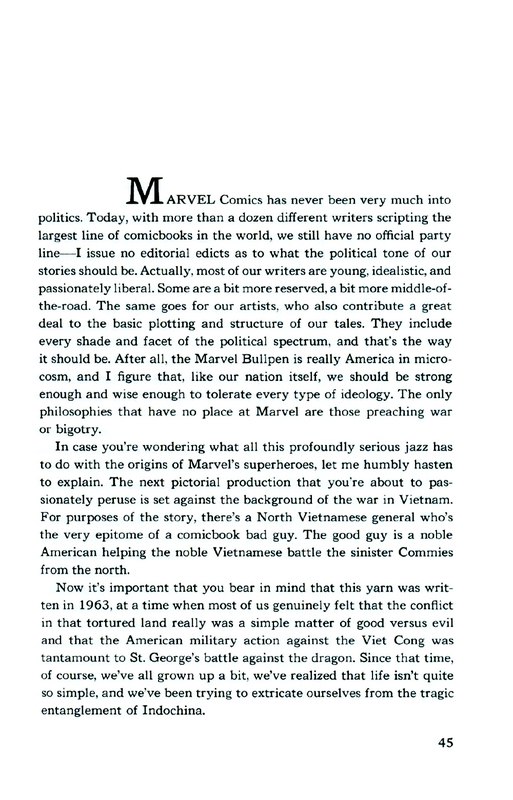 The one contentious issue with Lee’s introductory texts is that he doesn’t mention Jack Kirby’s anger at not being included in the first issue of The Silver Surfer. 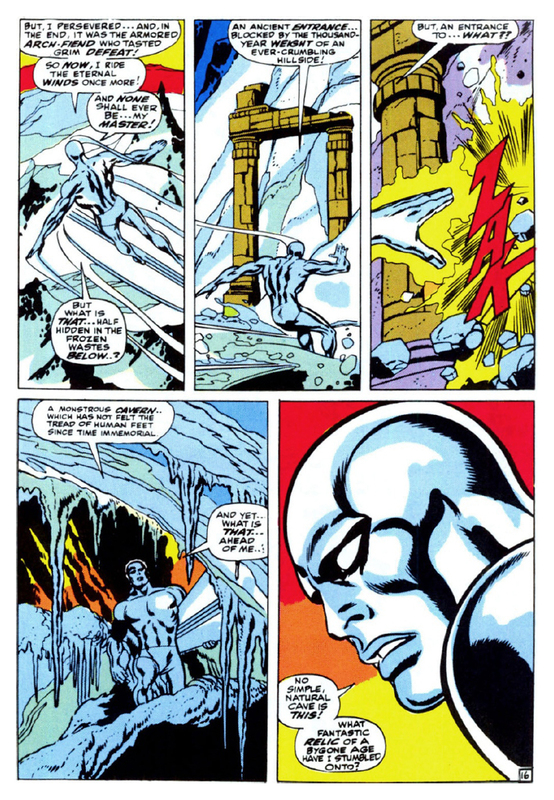 Kirby created the character on his own and was not pleased that Lee wrote this issue himself or that John Buscema illustrated the story. Thankfully Son of Origins isn’t encumbered with the production errors that affected the first volume, although that’s not to say the book is free of problems. In the first collection the decision was made to recolour The Hulk from grey to green in order to bring the character more in line with his current look. 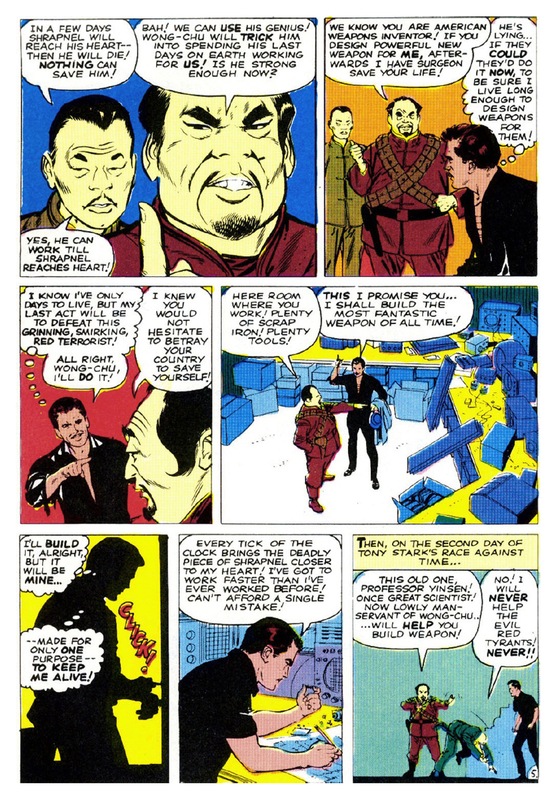 Unfortunately Son of Origins doesn’t continue with the same philosophy – the Asian villains in the first Iron Man story are still coloured a very bright, and somewhat disturbing, yellow. In the more enlightened, post-Vietnam era of the mid ’70’s it would have been nice if this casual prejudice had been removed. The only other critique I have with the collection is the decision to include both The Avengers and The Watcher. The Avengers is a group made up of characters whose origins already featured in Origins of Marvel Comics (with the exception of Ant-Man and The Wasp) and The Watcher has never been anything other than a bit-player in the Marvel Universe, so the inclusion of both stories feels a little too much like padding to me. For anyone interested in picking up a copy of Son of Origins of Marvel Comics there’s some good news – second hand copies can easily be found on Amazon Marketplace and ebay for as little as £10-£15, far cheaper than its predecessor. It’s a decent collection and well worth hunting out by any trade paperback historians out there. 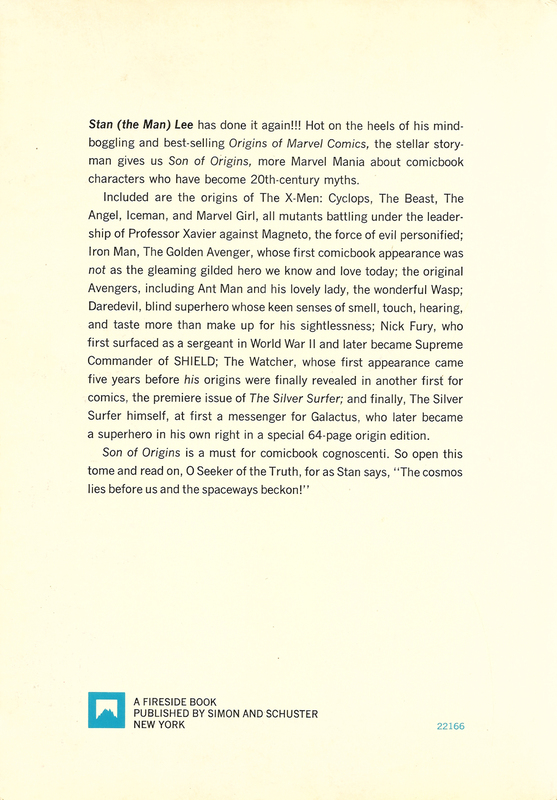 Like its forerunner, Son of Origins of Marvel Comics also proved a big seller when it was released so the following year a third Origins collection was published by Fireside Books. However, by this time Marvel had clearly run out of superhero origins (well, male heroes anyway) so the new volume – Bring On The Bad Guys – concentrated on their villains instead.